Where are you on this August 14th? I am raising my flag in thanks for the day of decision that happened at Hartsdale, NY, 233 years ago! It was the big day of decision for Generals Washington and Rochambeau! We know where they were on August 14, 1781 – at Rochambeau’s headquarters in Hartsdale, NY. The courier brought the long-awaited message that French Admiral de Grasse was indeed en route for the Chesapeake Bay, Virginia, bringing hard cash, thousands of soldiers and marines, plus a fleet of 29 French ships! All coming to help America win her independence!! Therefore, our two fine generals, French and American, were free to decide their strategy. All deterrents were swept away. Washington took the lead as was his duty and gave the appropriate command to his elder strategist, Rochambeau, that the combined Franco-American Armies don their marching boots and head out in the fierce August heat for Yorktown, Virginia. A day such as this should be proclaimed in the history books as one of the most important in shared French/American history! The world was turning upside down for the British. Washington, with the help of Rochambeau and de Grasse were about to chart a new course toward freedom and liberty in America! En avant! His career began with Rochambeau and ended with Napoleon! Louis-Alexandre Berthier marched with Rochambeau in America. Years later he also marched with Napoleon as his trusted adviser in many of his campaigns ini Europe, Africa and even into Russia. 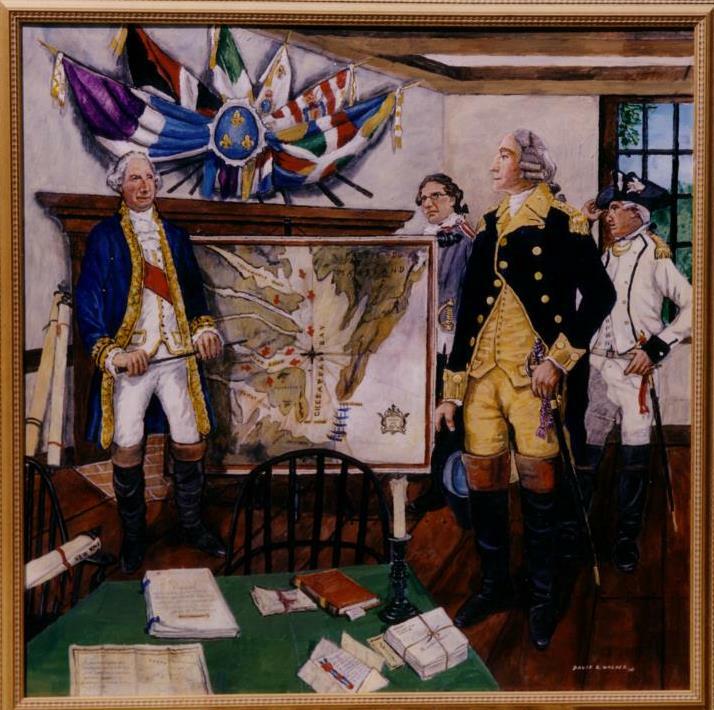 As a skilled cartographer Berthier and his brother, Charles-Louis, drew beautifully detailed maps of the Route of Rochambeau in his American campaign. 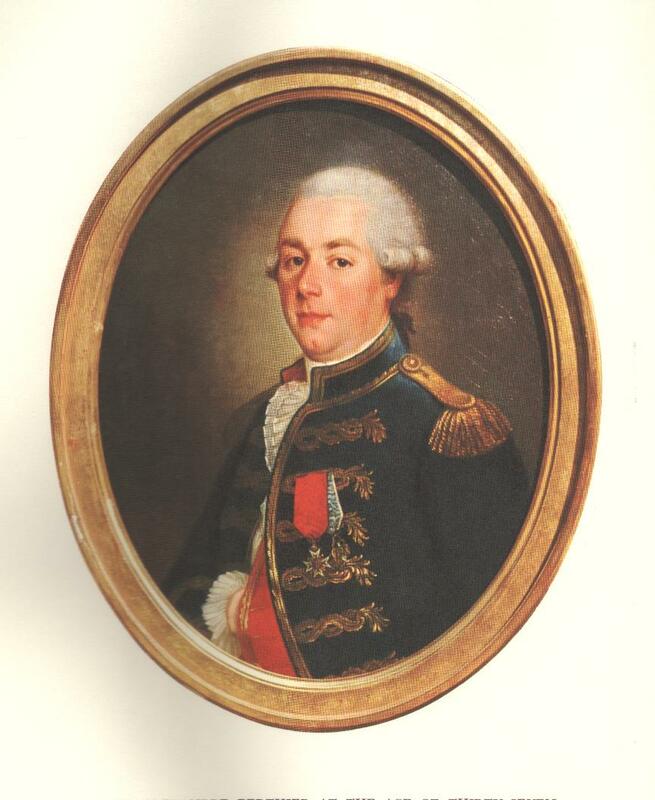 Read in my book, Rochambeau, Washington’s Ideal Lieutenant, to learn about the brothers and their misadventure, the crazy way they missed the Rochambeau convoy of ships that left from Brest, France without them!